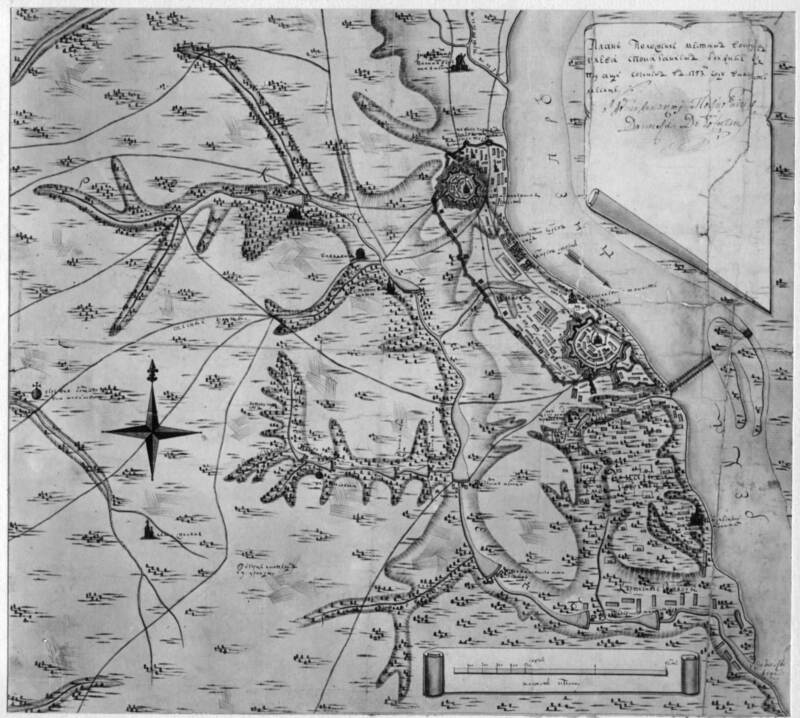 The detailed description of Kiev area hand-written map of 1753 is given. The analysis of a photocopy of the map stored in V. Zabolotnyi State Library of Architecture and Construction is made. 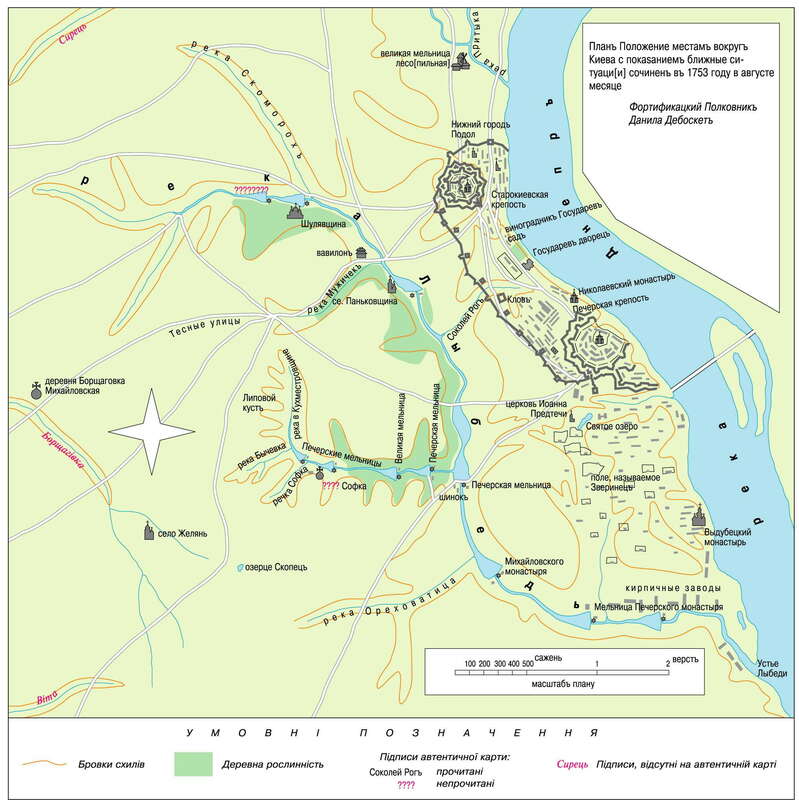 The map contains unique data about roads, settlements, fortification, sacral and other constructions, gidrographic and other natural objects in territory of present-day Ukrainian capital.